Constructed of walnut-stained wood and adjustable to four convenient drawing angles from 0° to 45°. * The unique design rests over the edge of a table or desk to prevent slipping. 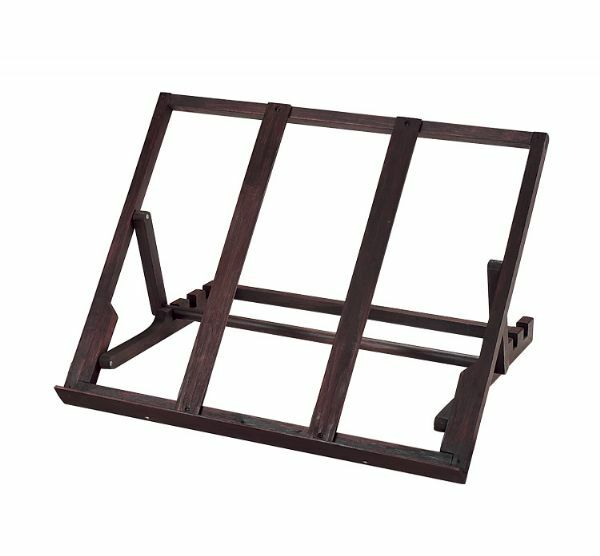 * Once in place it provides a rigid frame for sketch boards standard drawing boards and pre-stretched canvas plus a built-in pencil rest. * In seconds it can be opened for use or closed for storage. * Accommodates 18" x 24" to 20" x 26" boards. 24" x 19" x 2.5"